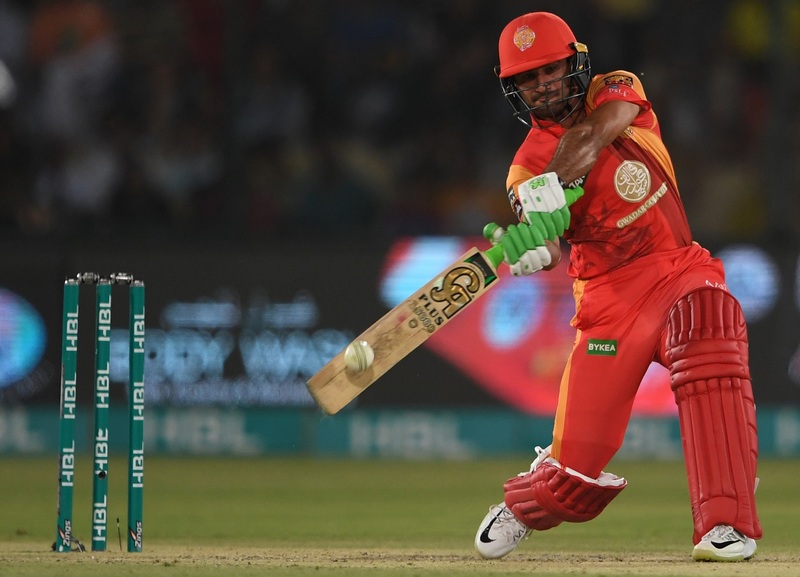 Having already built a strong reputation as an aggressive limited-overs batsman, 22-year-old Sahibzada Farhan continued to impress all during the 2018 edition of the Pakistan Super League (PSL) where he played for Islamabad United. The right-hander struck a quickfire 44 off just 33 balls in the final of the PSL which was instrumental in his side’s success as they became champions for the second time. In an exclusive interview with PakPassion.net, Sahibzada spoke about the improvements he needs to put in to prove himself in the longer format of the game, why he is not disappointed at missing out on the recent T20I series against Scotland, his experience of playing in the PSL and in particular working with Dean Jones and Waqar Younis during the tournament, and his aspirations for making it to Pakistan’s Test team in the future. Sahibzada Farhan: I wasn’t disappointed at my exclusion from the Pakistan squad for the recent series against Scotland. I understand that there are some things which are not in one’s control and one should not take such things to heart. I believe in my abilities and know that when the time is right, and with the Almighty’s blessings, I will get my chance to play for Pakistan. Sahibzada Farhan: I feel that I am ready for international cricket and playing in the PSL has a lot to do with that. The reason is simply that in the PSL you are batting against Pakistan’s and also the world’s top bowlers. From what I understand, the PSL is also one of the world’s top Twenty20 Leagues and if one can play in this tournament and learn from it, then there is no doubt in my mind that one can easily play at the international level as well. Sahibzada Farhan: I cannot express in words my feelings about being at the National Stadium in Karachi that evening for the PSL final. It was probably the most memorable time of my whole life. I had previously played in Karachi some time ago but this PSL final was nothing like my earlier experience. Just being part of such a huge event, with a packed stadium was just amazing and a great achievement for me. Scoring 44 runs in the final against a good bowling attack and being part of the Trophy-winning squad was also something that will remain in my memory forever. PakPassion.net: How did it feel to be rubbing shoulders with high-quality cricketers at the PSL? This interview has been published after an arrangement with pakpassion.net.